The first semi-final of Selecția Națională 2019 took place in Iași tonight, giving us the first six acts to participate in the National Final on 17 February. Selecția Națională 2019 kicked off tonight in Romania. Eleven acts participated in tonight's semi-final after Mihai Traistariu's withdrawal two weeks ago. Five finalists were chosen by the jury and the sixth one through televoting. Bookmakers' oddsOdds: Who wins Selecţia Naţională 2019? 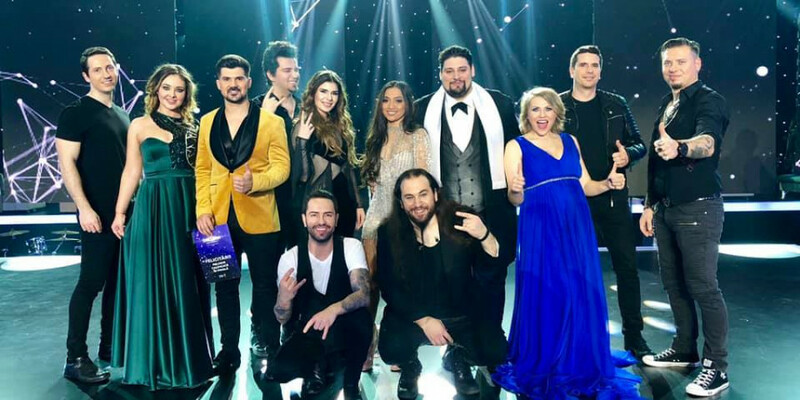 The second semifinal of Selecția Națională 2019 is scheduled for 10 February when then next six acts will complete the list of finalists. 12 songs compete in each of the two semi-finals, held in Iași and Arad. 5 finalists will be selected by a jury while 1 finalist will be selected via televoting. The Romanian broadcaster TVR has the option to award one wildcard for the final. At the final in Bucharest the winner – and representative at Eurovision 2019 — will be decided by an international jury in combination with public televoting. Romania had its debut in 1994, and has been participating 19 times since. They have never won the contest, but came 3rd in 2005 (Luminita Anghel & Sistem - "Let Me Try") and 2010 (Paula Seling & Ovi - "Playing With Fire"). Romania was expelled from Eurovision 2016 due to unpaid dept to EBU, so the winner of Selecţia Naţională 2016, Ovidiu Anton didn't participate in Stockholm. Since the introductions of semi-finals in 2004, Romania has qualified to the Grand Final 13 out of 14 times, only missed the 2018 qualification.